The headland at Punta Lobos provides an amazing Pacific snorkeling spot abundant in sea life. Mantas, lobster, urchins, sea stars, eagle rays, octopus and tons of tropical fish make their home on this Pacific shelf. The diverse Eco-system is created by a unique mountain range that ends here, providing a perfect protected habitat. For generations local fishermen have used this protected area for launching their pangas. Children's equipment is available and instruction is our speciality! 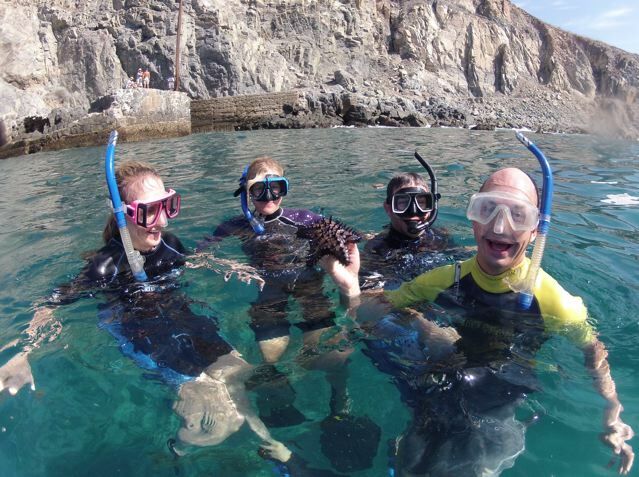 Snorkeling tours include fins, mask & snorkel, wetsuit or rashguard, guide and refreshments. $45/person for up to three hours. You don't need a diving certification to experience some of the best underwater marine life on the planet! Cabo Pulmo, recently declared the most biodiverse area on the planet by National Geographic is the best snorkeling spot in Baja. 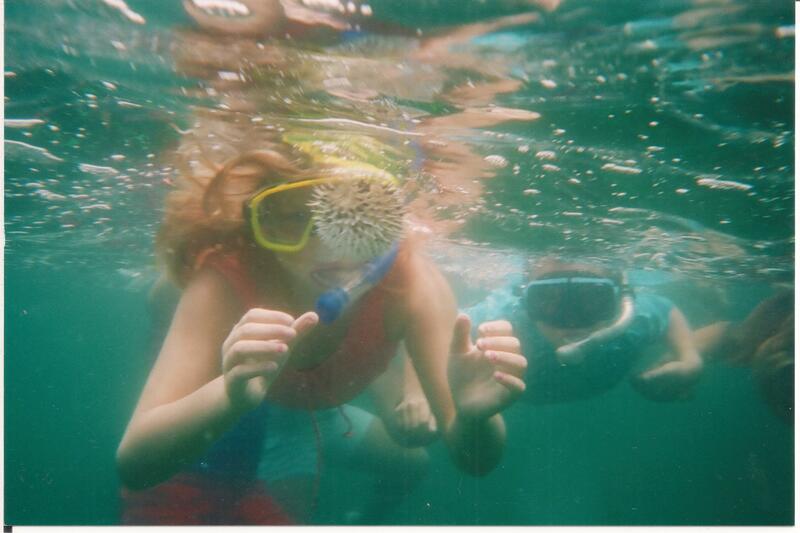 Join us for an amazing day snorkeling with thousands of tropical fish, sea turtles, rays, sea stars octopus and more. 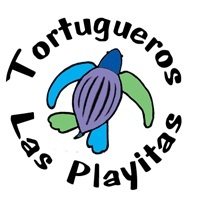 Tours include snorkeling gear, wetsuit or rahguard, dive instructor, refreshments, and transportation from Todos Santos.